Far too many people die intestate, which means they pass on without a will. When this happens, their assets are dealt with in accordance with state intestate succession laws. In some cases, when an heir cannot be identified, it is possible for the state to claim these assets. You can easily avoid these problems by consulting an estate planning lawyer in Tracy or Livermore. Your estate planning attorney will carefully review your finances, offer sound recommendations, and provide you with all the information you need to make wise decisions for your heirs. use your will to leave gifts for your favorite charities. For parents and legal custodians, having a properly drafted will is particularly important. Your will can designate a guardian for any children who are still minors when you pass on. If you take care of someone who is mentally or physically incapacitated, you will also need to designate a guardian for that individual. 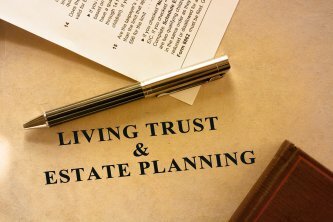 Another basic component of estate planning is creating trusts. A living trust goes into effect during your lifetime, while a testamentary trust goes into effect after your death. You can transfer certain assets to a trust to protect them and reduce the tax burden. Trusts allow for the speedy distribution of assets to beneficiaries after a death. They may also place limitations on inheritances. 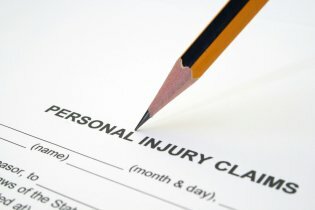 Personal Injury Cases: What Are Your Damages? Health expenses. The party responsible for your injury should also be responsible for paying for your medical care. If you have been injured as a result of someone else’s negligence, you are entitled to compensation for all of your medical expenses, including hospital bills, physical therapy costs, home nursing care, medication bills, and transportation costs. Lost wages. Oftentimes, an individual who has been injured will need to miss work—and thus lose out on potential earnings. You can seek compensation for lost wages or income, including loss of vacation days or sick time. In the event that you have been permanently disabled and prevented from returning to your job, you can sue for loss of your lifetime wages. Pain and suffering. After an injury, you may have to endure a lengthy recovery period. You are entitled to compensation for the suffering you experience, including chronic pain and the amount of time it takes you to recover from your injury. Be sure to document your recovery, and save all of your doctor’s bills and other medical records. Wrongful death. In the event that a loved one has died as a result of someone’s negligent actions, you may be entitled to sue for damages. The rules governing wrongful death lawsuits vary from state to state, so you should speak to a personal injury attorney as soon as possible to determine whether you have standing to sue. What are Irrevocable Living Trusts? Estate planning near Tracy and Livermore can involve much more than just a last will and testament. Your lawyer can also create a living trust for you, which helps you protect property and minimize the tax burden . A living trust is one that goes into effect during your lifetime, rather than only after your death. An irrevocable living trust is one that cannot be terminated. The majority of living trusts are revocable, which means that they can be terminated. You can hear more about irrevocable living trusts by watching this video. This expert discusses some of the common types of irrevocable living trusts, such as charitable trusts. Charitable trusts facilitate gifts to charity while reducing income and estate taxes. There are many other different types of trusts; you can consult a lawyer who specializes in estate planning to learn more. For affluent Americans, the federal estate tax has long been a matter of significant concern. Just a decade ago, estates valued at $1.5 million or higher could be subjected to a federal estate tax of nearly 50 percent. The same applied to gift taxes made while the individual was alive. When they handled estate planning matters, couples often had to establish trusts to take advantage of the estate tax exemption. 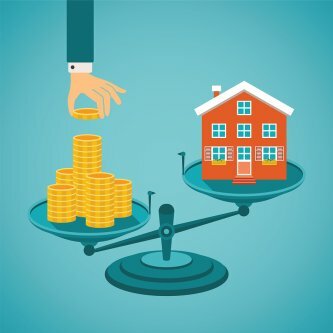 To make estate planning near Tracy and Manteca even more challenging, the federal estate tax fluctuated from year to year in a highly unpredictable manner. Recently, however, Congress made a few changes that may make estate planning a little easier for many. The highest federal estate tax rate is now firmly set at 40 percent. Additionally, the estate tax exemption was raised to five million dollars per person, which is adjusted for inflation yearly. Rules regarding trusts have also been relaxed. To take full advantage of these changes, individuals can turn to an estate planning lawyer for guidance.